Google Ads | Asrar Al Tasmeem Company. Pay-Per-Click Advertising, PPC, or paid search marketing is the Fast and most Reliable way to get your website to the top of the search results when people are looking for your type of business, and because you pay per click, it is easy to control the budget and return on investment for your campaign. 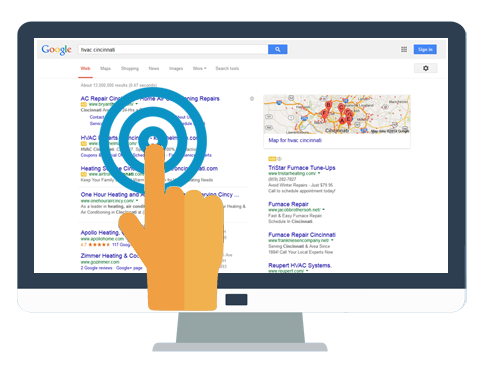 Our PPC Experts will find the target and find the perfect keywords to help you dominate the market. If you look at image , the section marked as red are sponsored ads. which you may often seen at the top of Google's search results page, That's called pay-per-click advertising, PPC or Google Advertising. So if you apply for PPC campaign, Then Every time when your ad is clicked it sends a visitor to your website, thus the Google search engine will charge a small fee for that click. (That's why it's called "pay per click."). So start your PPC campaign with Asrar IT, As Our PPC Experts will find the target and find the perfect keywords to help you dominate the market. 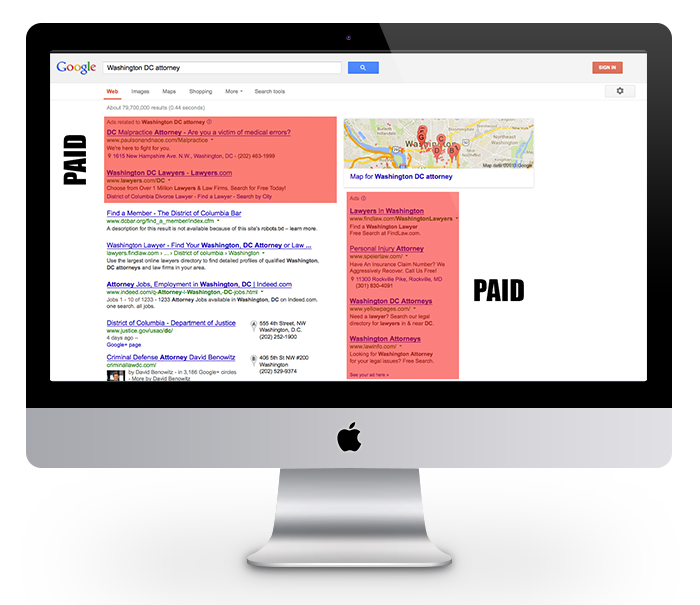 These days more and more Businesses are spending and earning on PPC as they realized how PPC Advertising can help to complement their online marketing efforts. So if you want an instant, targeted traffic for your New or already established business, Pay-Per-Click or Paid Search is right thing for you.